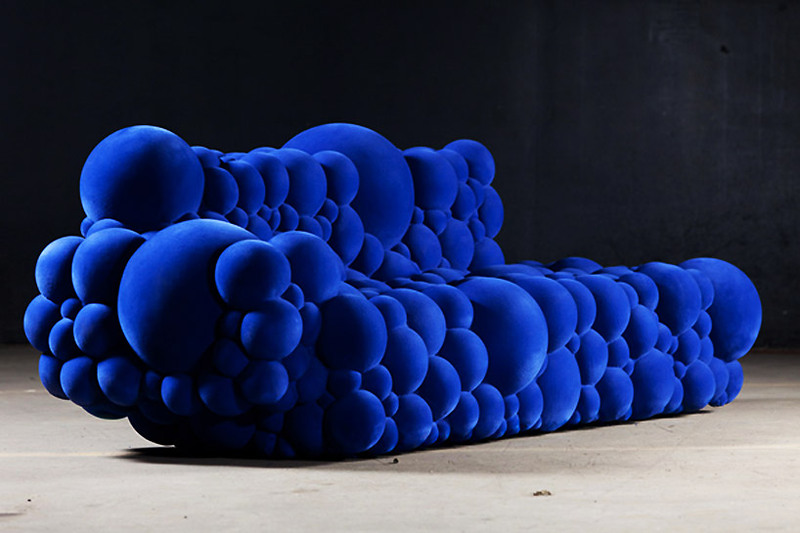 belgium-based designer maarten de ceulaer presents his 'mutation series' at this year's milan design week 2012.
the pieces resemble the organic transformation of cells that have grown out of scale due to a virus or nuclear reaction. making each design completely different and unique. 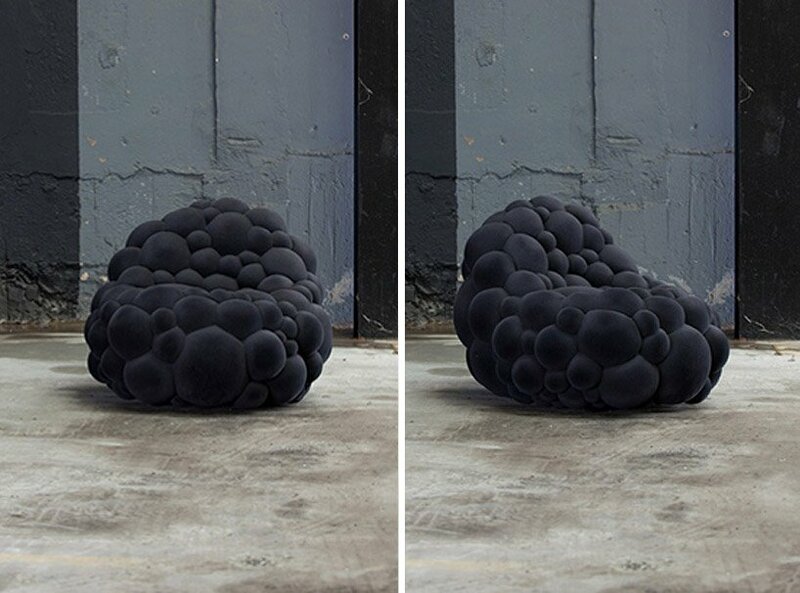 the prototypes range in size from small ottomans and stools to large sofas and over-sized chairs.